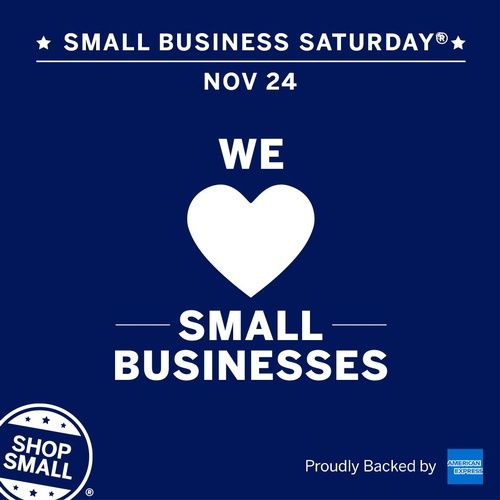 Celebrate your favorite small businesses and show your #ShopSmall love on #SmallBizSat this Nov 24. Each store is having their own deals and celebrations! Stop by any of the participating shops and get a great canvas "Shop Small" bag and many other prizes, treats, and specials!